I wanted to personally invite you to an upcoming New Jersey Automotive Conference event on June 12th at the Sheraton Hotel in Eatontown, NJ. I will be presenting a workshop at the NJ Dealer Pit Stop so join me! Watch Ken Beam Show-n-Tell you all about this beautiful All-Wheel Drive 2009 Infiniti G37X Coupe at Douglas Infiniti in Summit New Jersey! Black Obsidian with Graphite Leather! *Only has 32,146 miles! *Car Fax Clean! No Accidents! 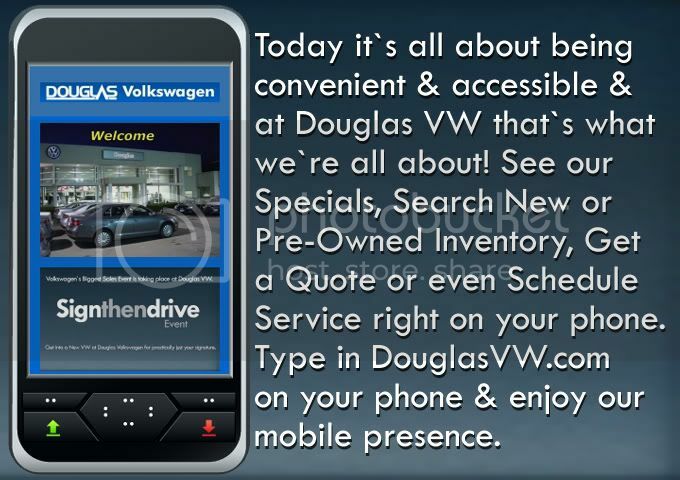 NJ VW- Do it all on your phone with Douglas VW, New Jersey`s leading cutting-edge VW digital Dealer. Looking for the Best Deal in New Jersey on a New Volkswagen? Just click the picture below & you`ll be one step closer! 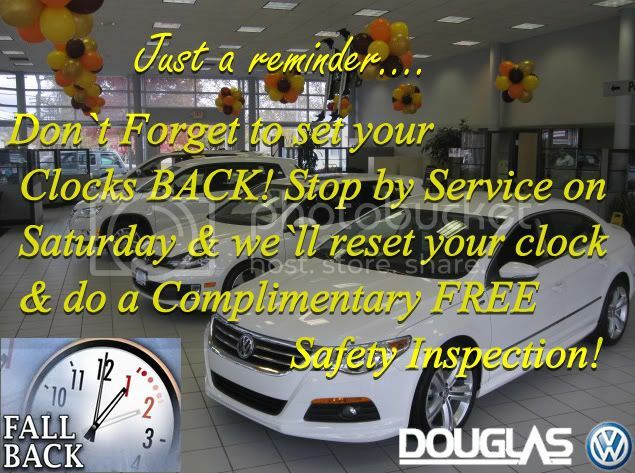 for you & perform a FREE Safety Inspection. Would you like to visit our site? Click the picture above. NJ VW- 2011 Jetta arrives at Douglas VW in Summit NJ on Sept. 22nd! Starting at $15,995! Here`s a little EBlast ala Ken Beam! Last weekend of our Sizzlin` Summer Sales Event!